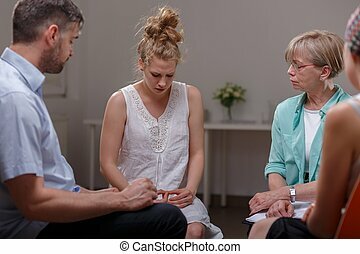 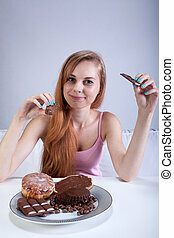 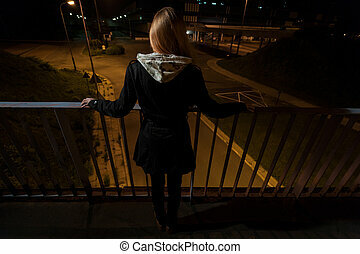 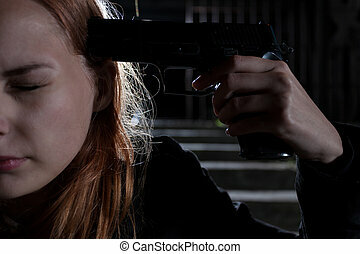 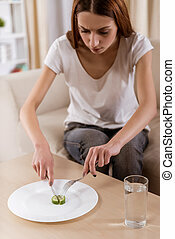 Depressed girl with eating disorder. 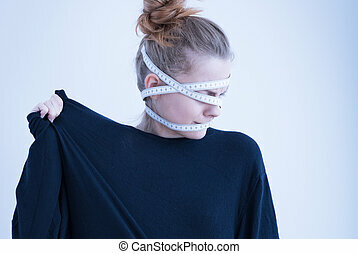 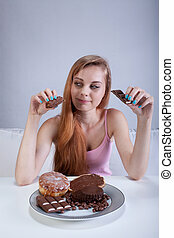 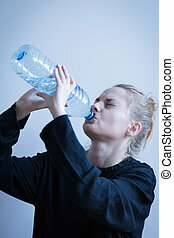 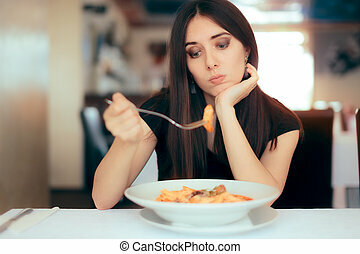 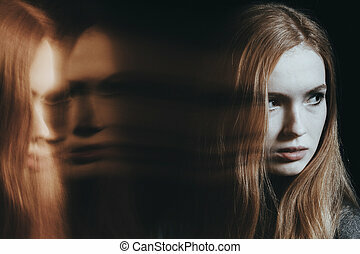 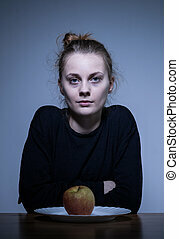 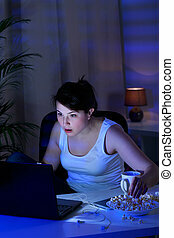 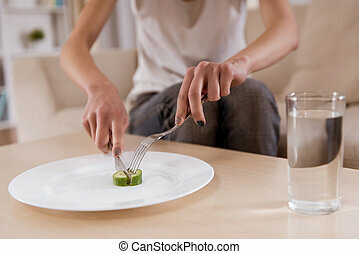 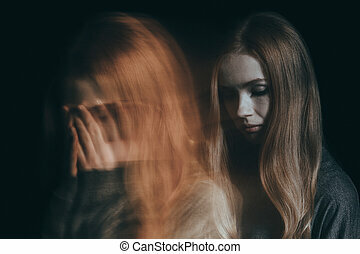 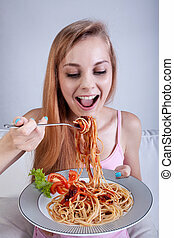 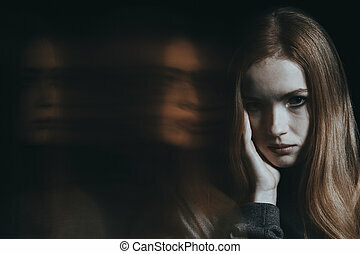 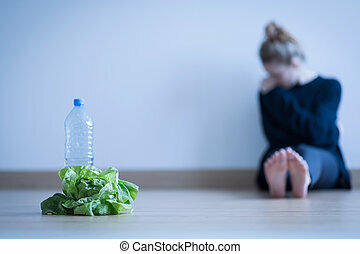 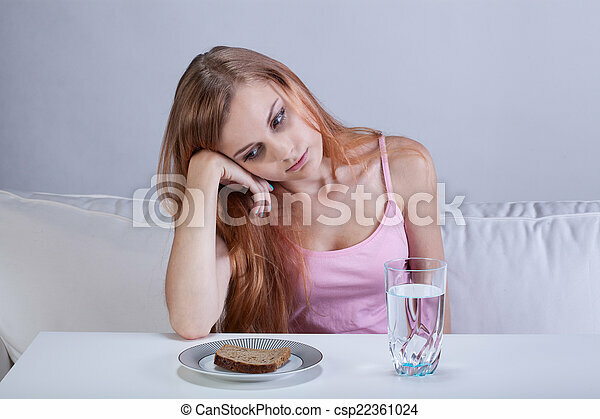 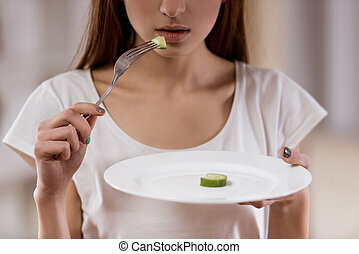 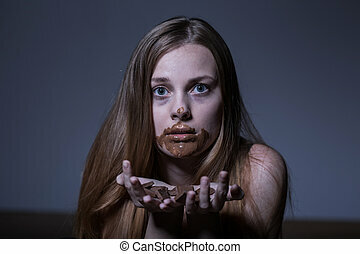 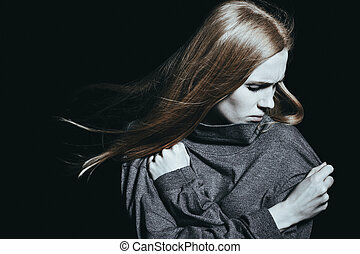 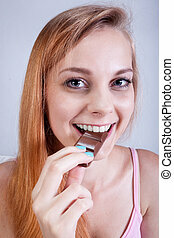 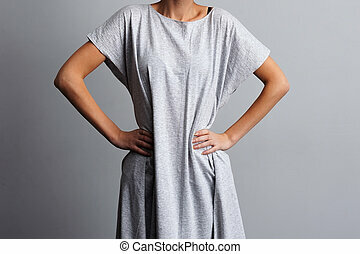 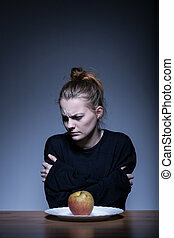 Portrait of young depressed girl with eating disorder. 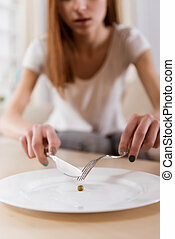 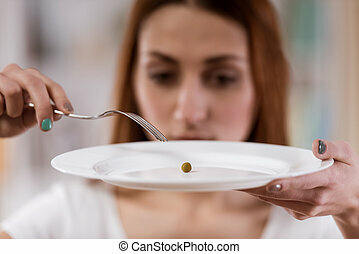 Thin girl with an empty plate standing in the center of the room closeup, malnutrition harms health.